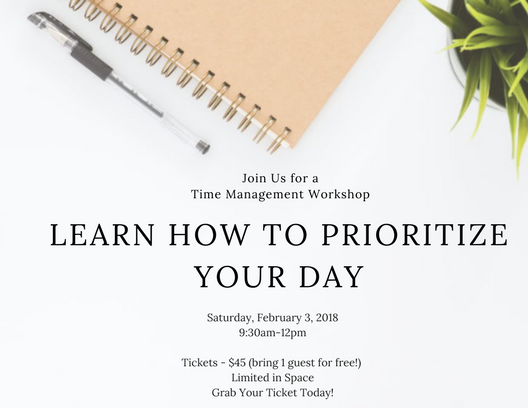 Join Tiffany Mason for an effective time management workshop on Saturday, February 3, 2018 from 9:30am-12pm. Women entrepreneurs who struggle with their never-ending todo lists. Tickets are $45 and you can bring 1 guest. Maybe it's a close friend that is struggling with time management or maybe a business colleague who is looking for some helpful tips on prioritizing her day. Space is very limited so grab your ticket now. Click here! 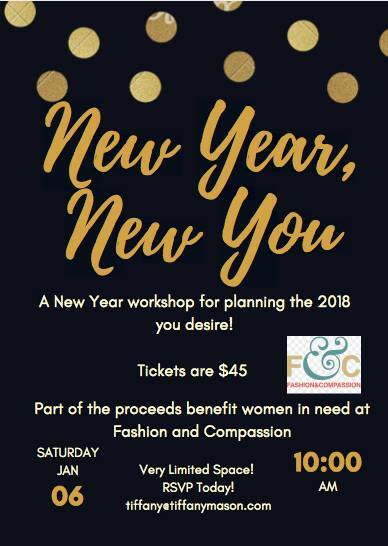 A New Year workshop for planning the 2018 you desire! During the workshop, we'll explore your goals for the new year, gain clarity on what is most important in your life and you'll leave the workshop with your very own vision board. Tickets are $45 which includes refreshments, swag bag and part of the proceeds benefit women in need at Fashion and Compassion. Very Limited in space! Grab your ticket here!